The nominations below were reviewed by the State Historical Resources Commission during the year 2016. Scroll down to view subsequent actions by quarter. New actions are added to the end of this page after each quarterly State Historical Resources Commission meeting. Agendas from past meetings are downloadable in PDF format below on the right sidebar. The following nominations were scheduled for the January 29, 2016 SHRC quarterly meeting at Sacramento City Hall, 915 I Street, Sacramento CA 95814. Eighteen properties were nominated to the National Register of Historic Places, including one Multiple Property Document. 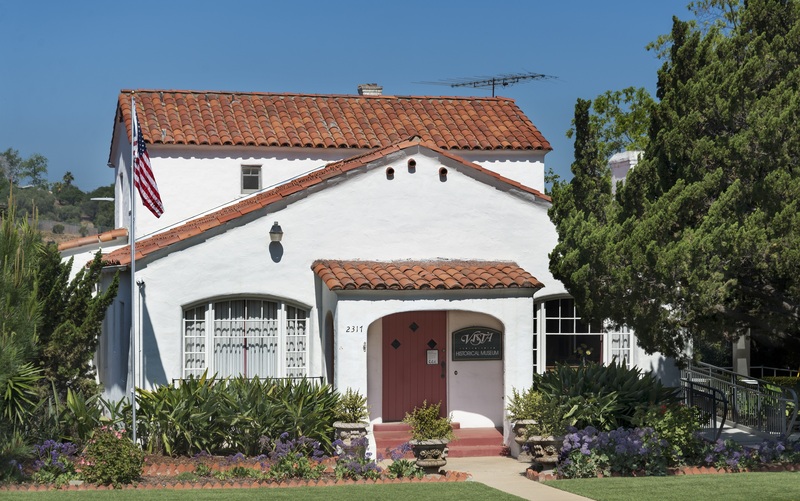 Monday Club of San Luis Obispo, designed by master architect Julia Morgan and constructed by prominent local builder James Jepson, has been a vital and enduring presence in the cultural and civic life of San Luis Obispo from its construction in 1934 to the present day. Residential Architecture of John Lautner in Southern California Multiple Property Submission identifies historic contexts and property types identified with master architect John Lautner, identifying themes and property types associated with his iconic residential home designs. Foster Carling House is a John Lautner designed home located in the Hollywood Hills of Los Angeles. Dense foliage obscures views of the building from the street, constructed in 1948. The wood and steel frame home has an irregular plan, a hexagonal volume and an L-shaped wing wrapping three sides of a terrace with a swimming pool that enters the main living space via suspended sliding glass walls. 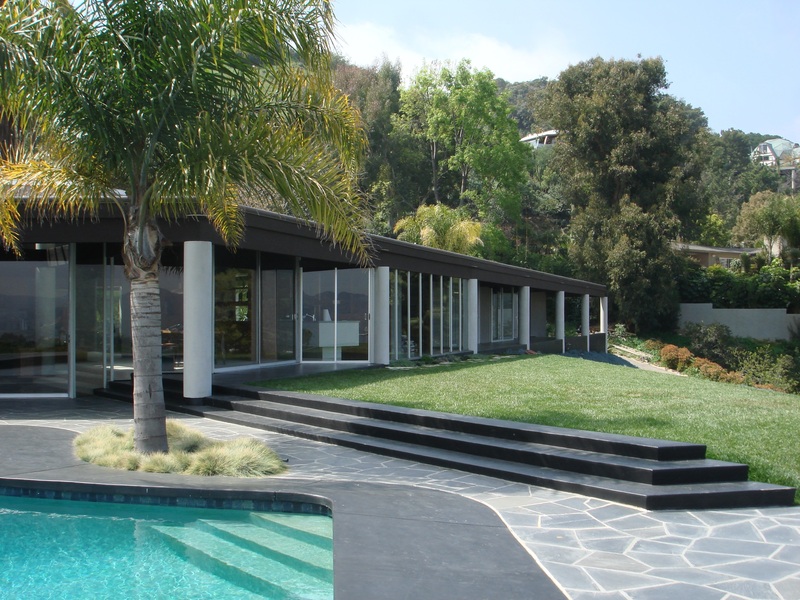 Willis Harpel Residence is a John Lautner designed home located in the Hollywood Hills of Los Angeles. Mid-century Modern in style with a J-shaped plan and a flat roof, the house is constructed of round, reinforced concrete columns and wood beams set ina pattern of interlocking equaliteral triangles. 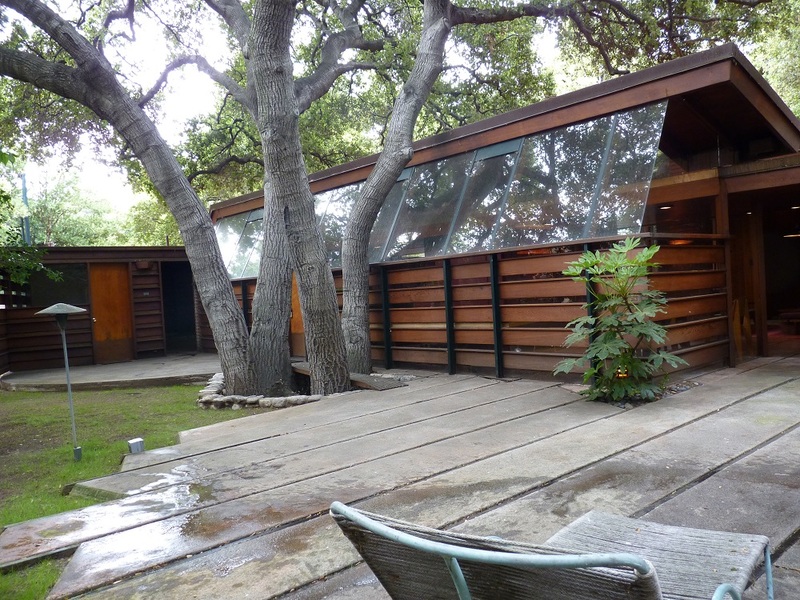 Constructed in 1956, the home is characteristic of Lautner's approach to architectural experimentation. Leo M. Harvey House is a John Lautner designed home located in the Hollywood Hills of Los Angeles. Constructed in 1950, with several additions designed by Lautner in 1962-1965, the building is Mid-century Modern style with some influences of Organic architecture. 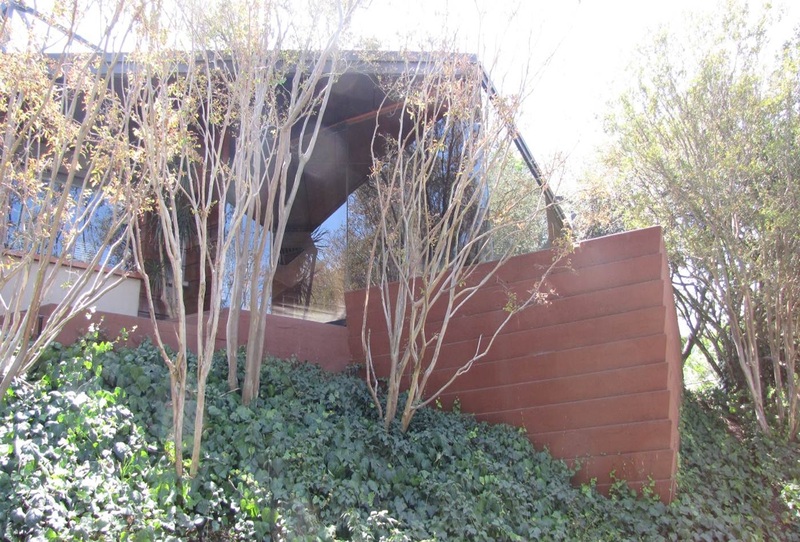 John and Mary Lautner House was designed by architect John Lautner as his family residence. 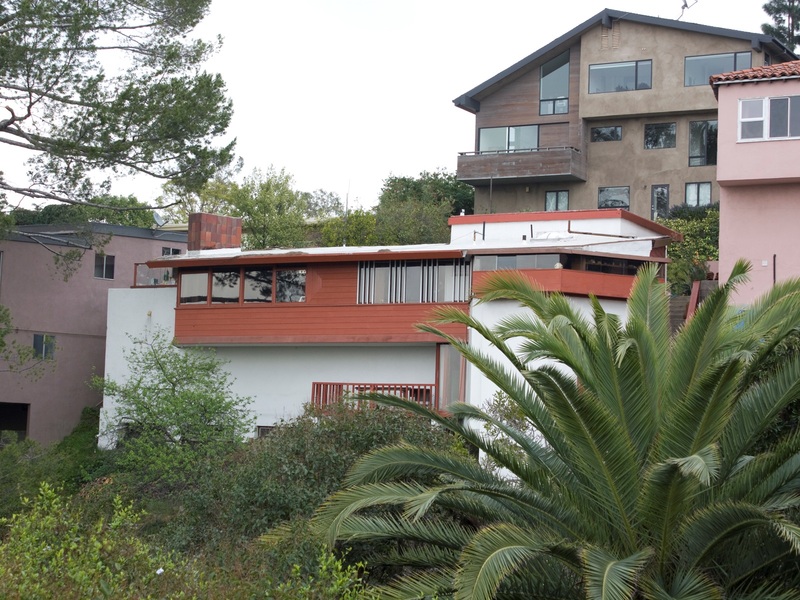 Located in the Silver Lake neighborhood of Los Angeles, the house's design reflects the architectural influences of Lautner's past association with Frank Lloyd Wright. J.W. Schaffer House is a John Lautner designed home located in Glendale, Los Angeles County, constructed in 1949. 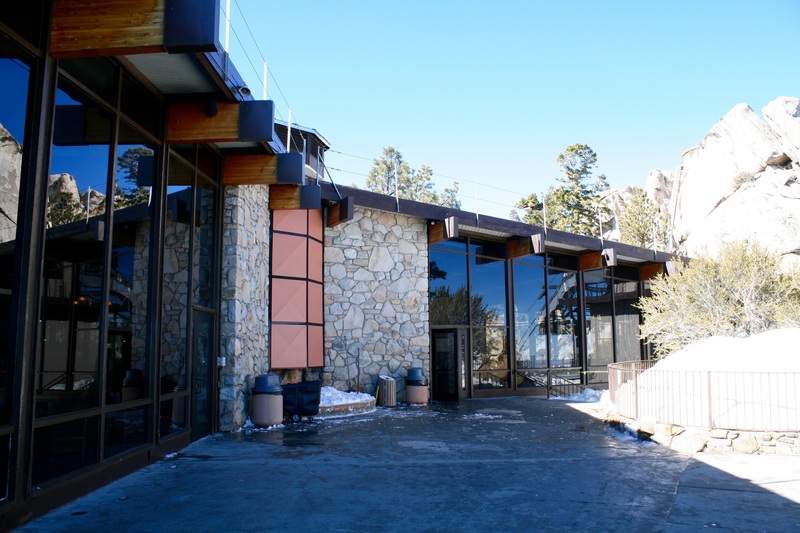 The building has a V-shaped plan and is Mid-century Modern in style, retaining some influences of Frank Lloyd Wright but exhibiting Lautner's fascination with new shapes and structures. Douglas and Octavia Walstrom House is a John Lautner designed home located in the Beverly Glen neighborhood of Los Angeles, constructed in 1969. It is Late Modern in style with an asymmetrical trapezoidal plan and a steeply pitched shed roof. 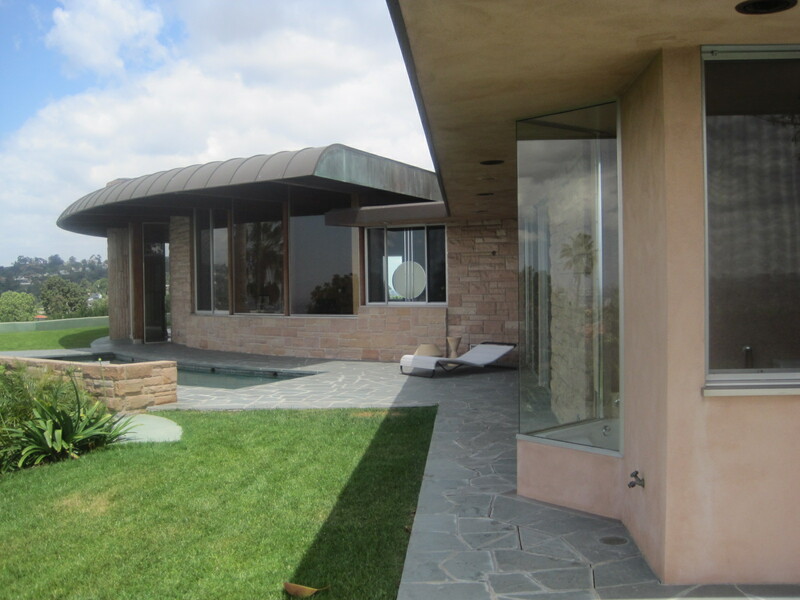 The Walstrom House is exceptionally significant as one of Lautner's most celebrated designs, described as "a sculptural work of art" by his clients. 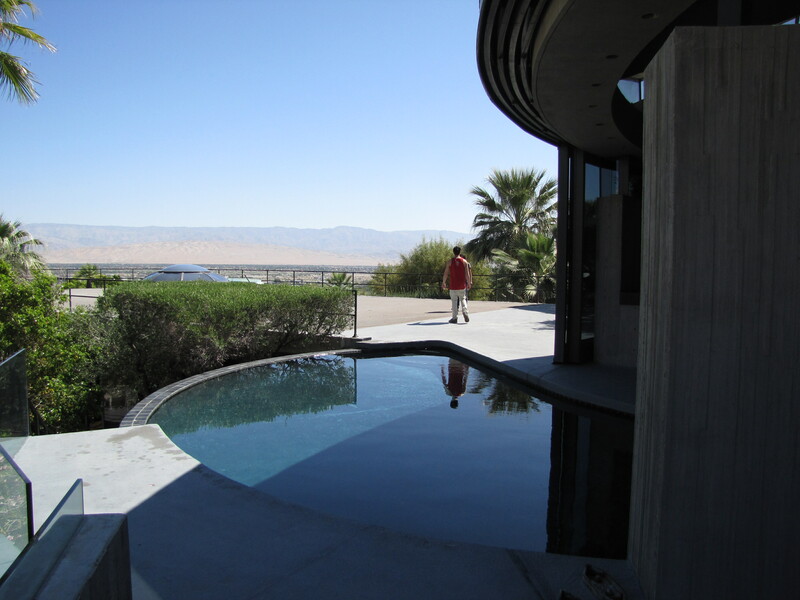 Arthur Elrod Houseis a John Lautner designed home located in Palm Springs, Riverside County. Constructed in 1968 and modified by Lautner in 1971 and 1974, the reinforced concrete home's circular plan, shallow conical roof, and integrated pool, terrace and glass walls make the Elrod House one of Lautner's most iconic and recognizable homes, extensively documented in the architectural press and even utilized as a movie set for a James Bond film. 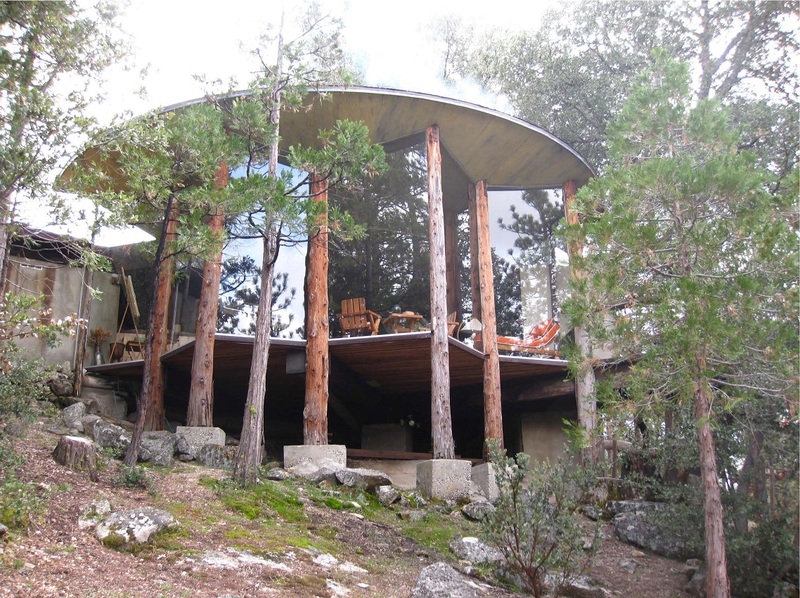 Carl and Agnes Pearlman Cabinis located in the Idyllwild community of Riverside County. Composed of reinforced concrete and timber frame, the most prominent façade consists of a broad conical roof supported by a ring of cedar tree trunks. The 1957 building combines contemporary architecture with rustic materials and natural setting and Lautner's characteristic design aesthetic. Alameda County Building and Loan Association Buildingis a five-story residential-over-commercial building in downtown Oakland, Alameda County. 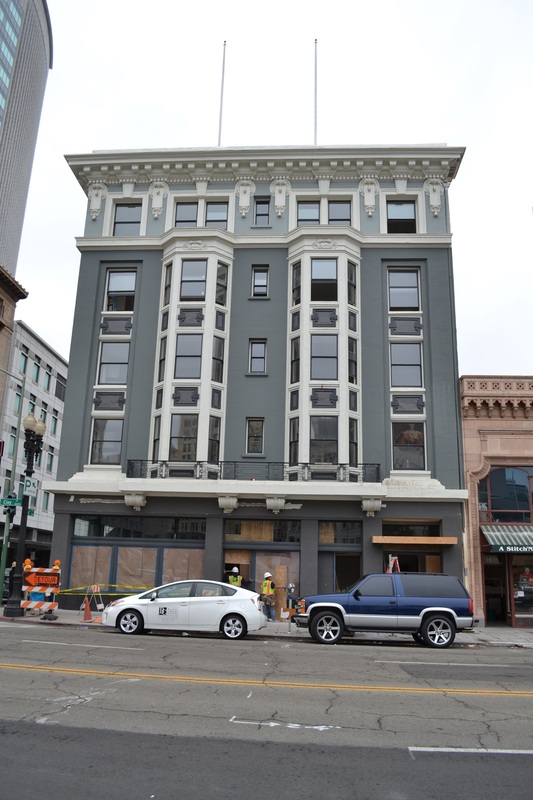 Designed by Harry Cunningham and Matthew Politeo and completed in 1907, this partially steel-framed building is significant for its architecture and its role as one of the earliest buildings constructed in central Oakland following the 1906 earthquake. 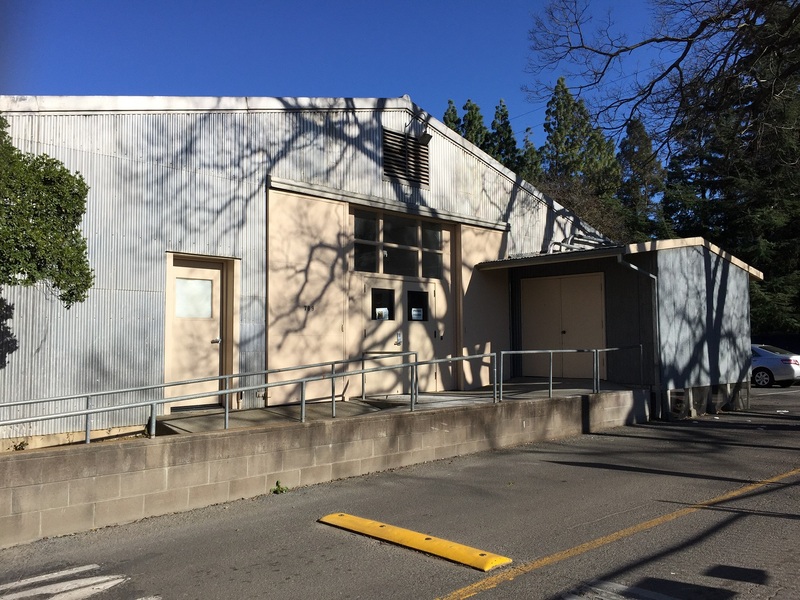 TB-9 is a military surplus modular building located on the campus of the University of California at Davis. It is associated with the Funk Figurative Ceramics movement due to its use by UC Davis art professor and Funk Art pioneer Robert Arneson as a ceramics studio and classroom. 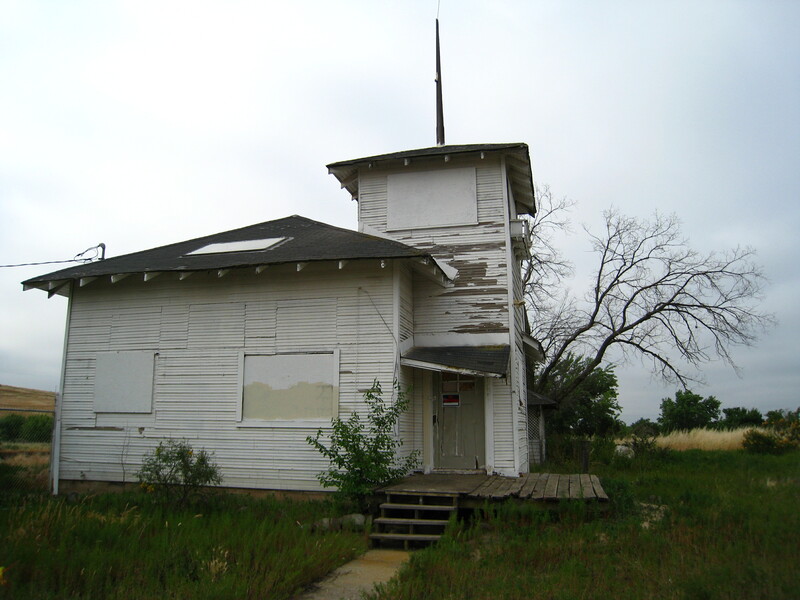 West Butte Schoolhouse is a 1908 schoolhouse located near the Sutter County community of Live Oak. Designed by architect James T. Narbett, this schoolhouse brought modern pedagogical theory into practice for students in this rural community, administered by schoolteachers Verona and Eleta Hill. 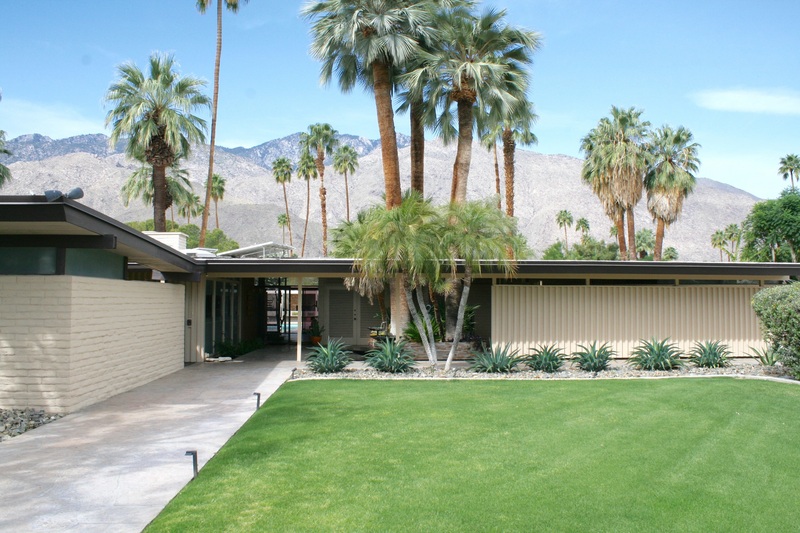 Dr. Franz Alexander Residence in Palm Springs was designed by architect, industrial designer, inventor and builder Walter S. White in 1956 for Hungarian-born Dr. Franz Alexander (1891-1964), one of the country’s leading psychoanalysts. The residence embodies an important tenet of Modernism in exploring the untapped potential of humble materials. American Cash Apartments/American Cash Store is a diminutive example of the Commercial Style that was developed by the Chicago School starting about 1875 and popular for commercial buildings through 1930. 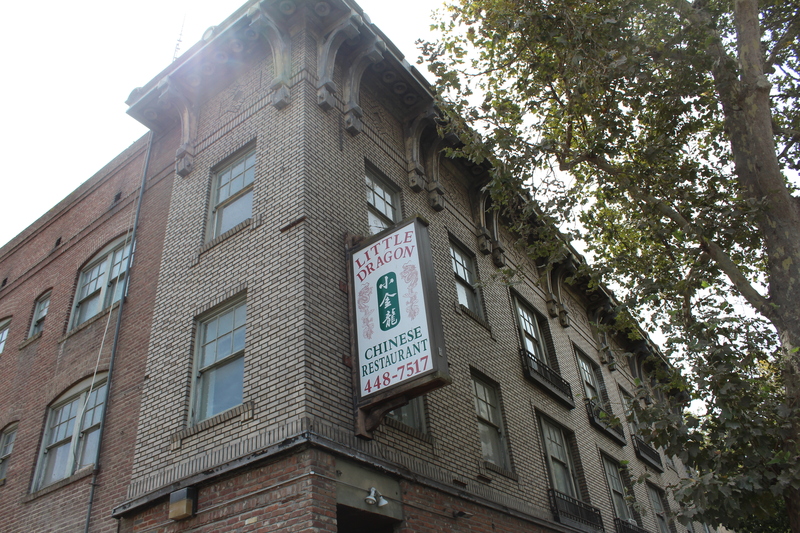 Constructed in 1909, it was among the first local purpose-built apartment buildings with ground-floor retail, and as such introduced a new type of residential building to Sacramento. Paso Robles Almond Growers Association Warehouse was rehabilitated and converted to a winery between 2010 and 2014. 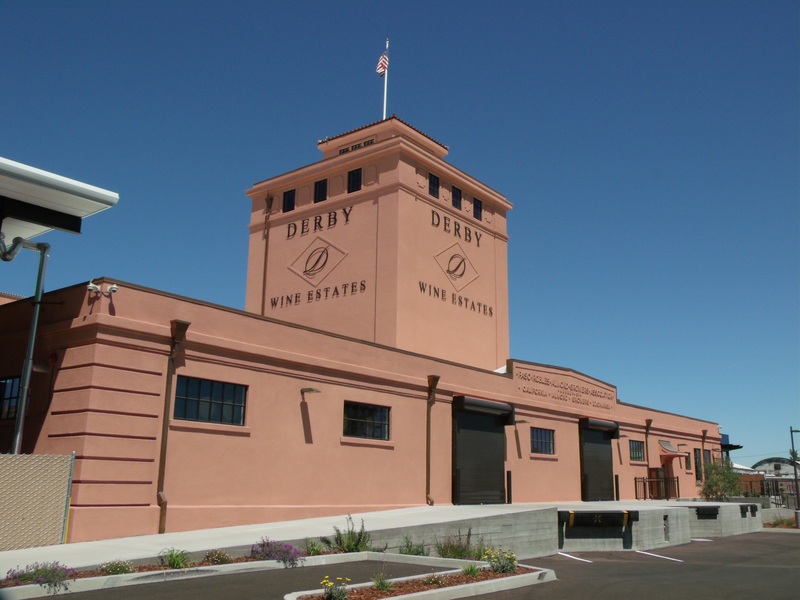 Constructed in 1922, the building symbolized the success of the almond industry in Paso Robles and promoted the Blue Diamond brand. The diamond-shaped relief borders on each side of the tower are the original borders from the Blue Diamond sign. 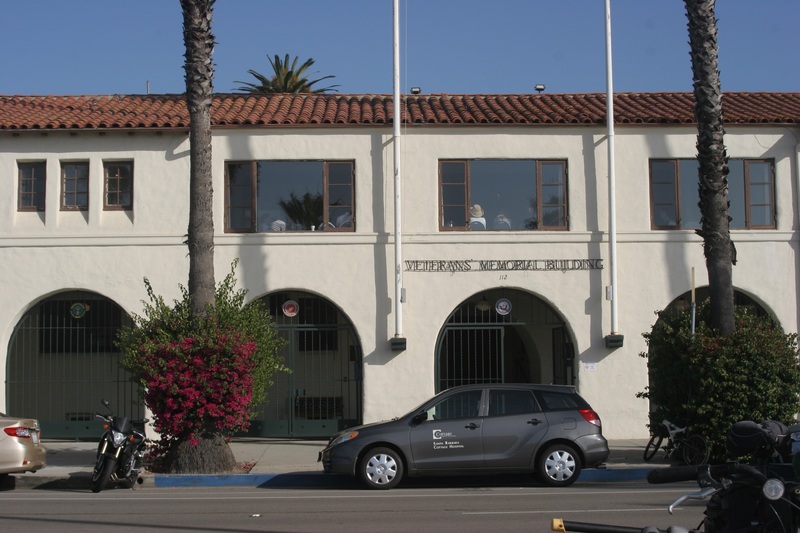 Santa Barbara Veterans Memorial Building was remodeled in 1937 in the Spanish Colonial Revival style from a 1927 building. Military insignia are painted around the top of the lobby walls and on the main entry doors to the large auditorium. Whifler House in Burlingame draws upon a delicate floating masonry and steel structure to hang a curtain of glass creating a masterwork of Modernism that is in part a re-imagination of the architect’s boyhood Craftsman home located on the adjacent lot. 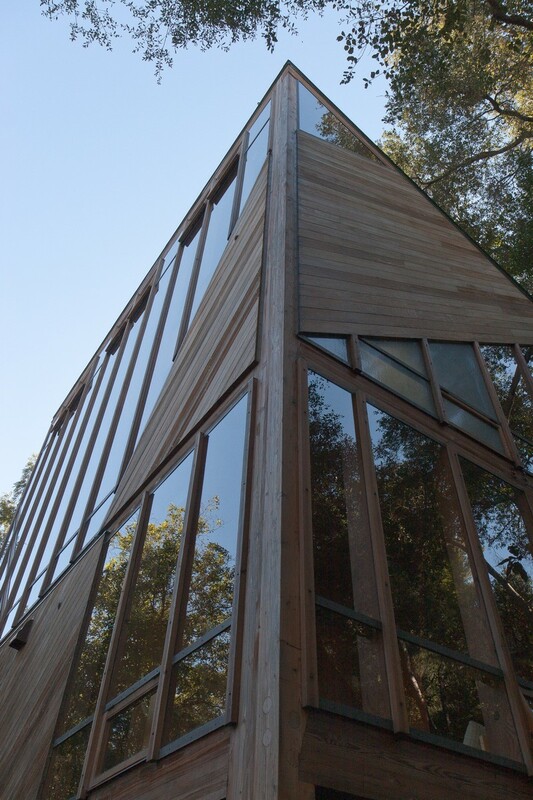 The home’s well-crafted, cohesive use of wood, steel, masonry, and glass, interior rooms and improved outdoor spaces, including the Japanese garden in the house’s front yard, coexist with one another through the extensive use of floor-to-ceiling planes of transparent glazing. The following nominations were scheduled for the April 18, 2016 SHRC quarterly meeting at the Golden Gate Club, San Francisco Presidio, San Francisco. Eleven properties were nominated to the National Register of Historic Places. First Church of Christ Scientist in Palm Springs, nominated under cover of the Architecture of Albert Frey Multiple Property Submission, embodies the distinctive characteristics of religious architecture associated with the modern movement as interpreted by Albert Frey for the desert environment of the Coachella Valley. Constructed in 1956, the one-story church building is modest in size, exhibiting architectural elements associated with the work of Albert Frey including a shed roof, deep eaves with metal fascia, sandblasted terra cotta colored concrete block construction, large windows, and slender steel posts. 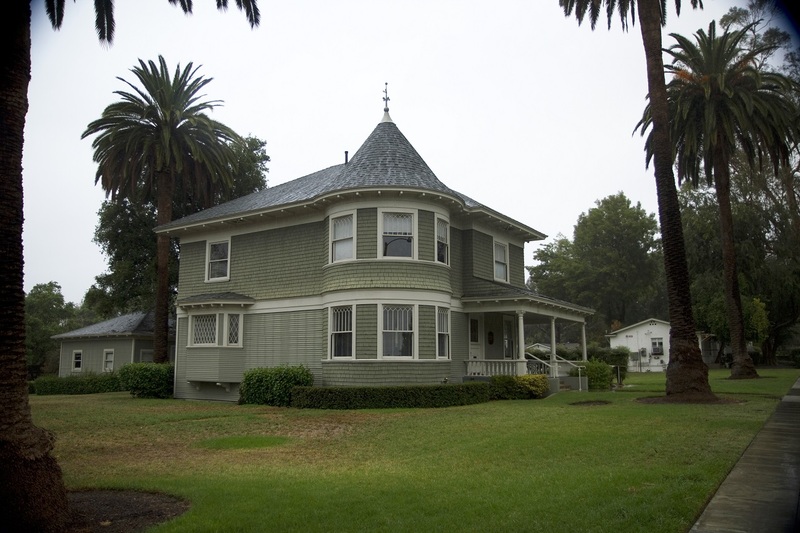 Helen Goodwin Renwick House in Claremont is a 1900 late-period Queen Anne home built for Helen Goodwin Renwick, one of Pomona's early philanthropists. Mrs. Renwick became a patron of the arts, sponsoring many social and cultural events at Pomona College, interested in a variety of fields ranging from writing to physical education. Holbrook-Palmer Estate is a pair of rare Nineteenth-Century agricultural buildings in Atherton, San Mateo County, significant for their architecture. Los Angeles Plaza Historic District Amendment is an amendment to the existing district, first listed in 1972 and updated in 1981. This update reframes the nomination in accordance with modern standards, reclassifies resources as contributors or non-contributors, adds the Plaza Church Cemetery as a contributor and removes the demolished Brunswig Annex. Providence Townsite is an 81-acre district in the Providence Mountains of eastern San Bernardino County. 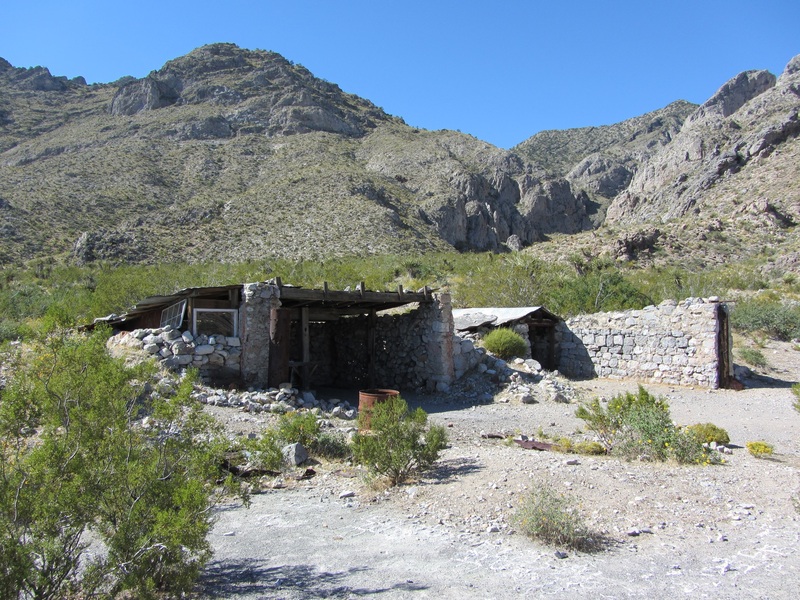 The buildings and structures, almost all in a state of ruin, together comprise a nearly intact village clustered near the defunct Bonanza King Mine, one of the great silver mines of the nineteenth century. Practically all of the buildings and structures dating from the period of significance remain in place and are further connected by the town’s original road and trail system. The property is significant in the areas of Settlement, Commerce, Transportation, Architecture, and Archaeology. 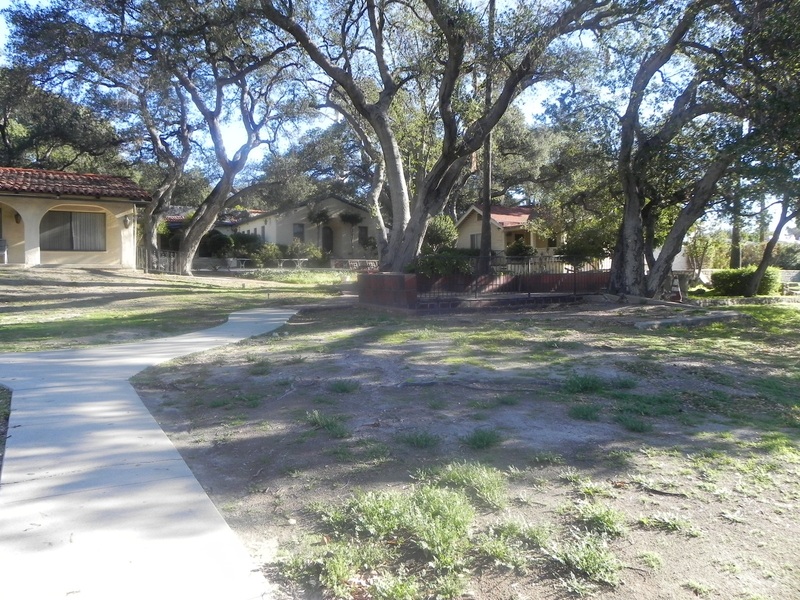 Rockhaven Sanitarium Historic District in Glendale was inspired by principles of the Cottage Plan for mental institutions, first developed in the late nineteenth century. 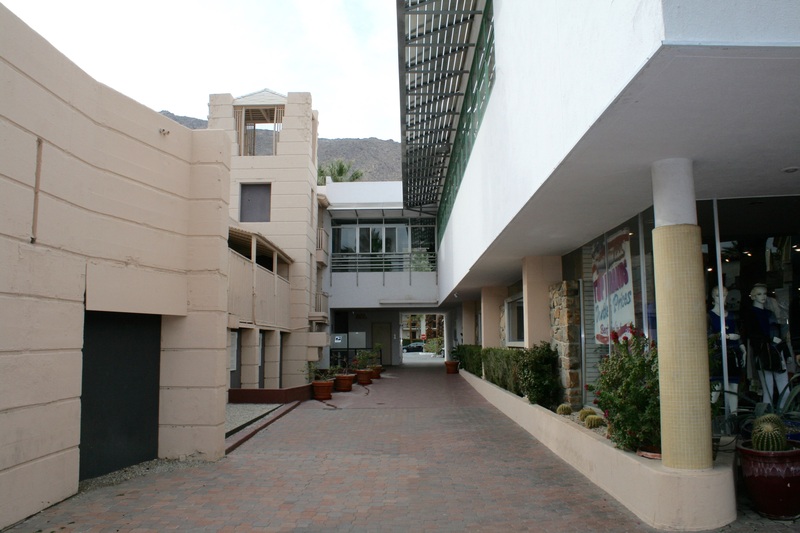 The Cottage Plan placed numerous individual buildings within landscaped gardens, in order to create a serene, homelike environment for residents. Rockhaven is one of the best extant examples of an early twentieth century woman-owned, women-serving private sanitarium in the State, and was one of the first of its type in the nation. It reflects the vision of founder Agnes Richards, R.N., and represents a small, significant movement that sought to improve the conditions of mentally ill women in the early twentieth century. 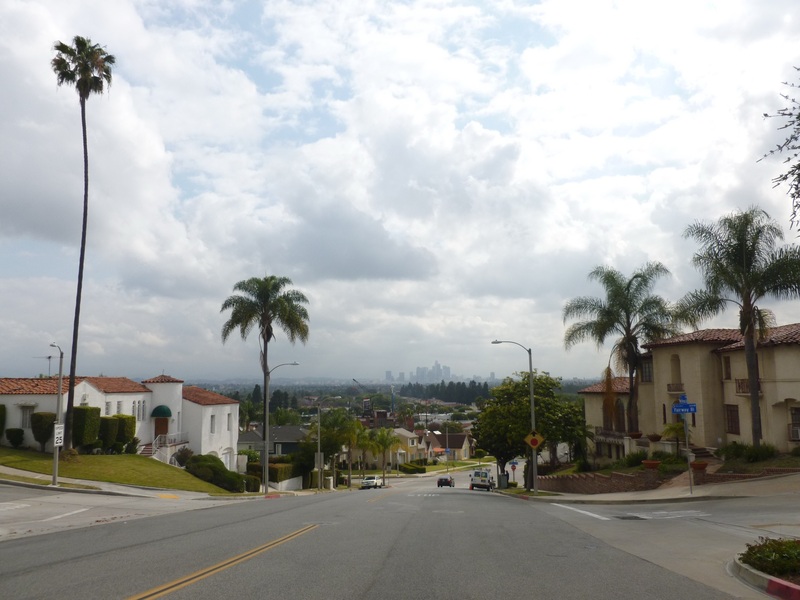 View Park Historic District is a neighborhood in suburban Los Angeles County of approximately 1800 single family homes constructed primarily between 1923 and the early 1960s. 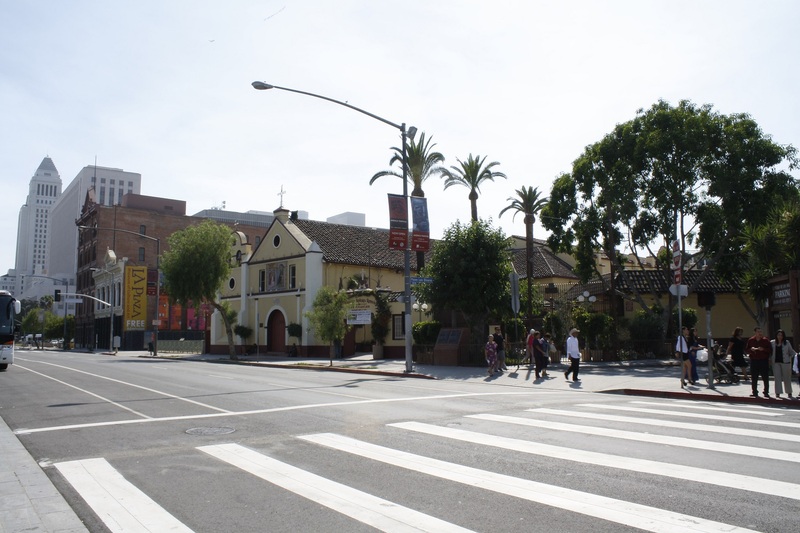 The district is significant for its role in Los Angeles community planning, and exceptionally significant for its dramatic transition from 1957-1970 from an almost exclusively white neighborhood, restricted by racial covenants, to a predominantly African American neighborhood. X-100 is a steel-framed Mid-century Modern home located in San Mateo, built by developer Eichler Homes from a plan by master architect A. Quincy Jones, landscape architect Douglas Baylis, and civil engineer William R. Mason. 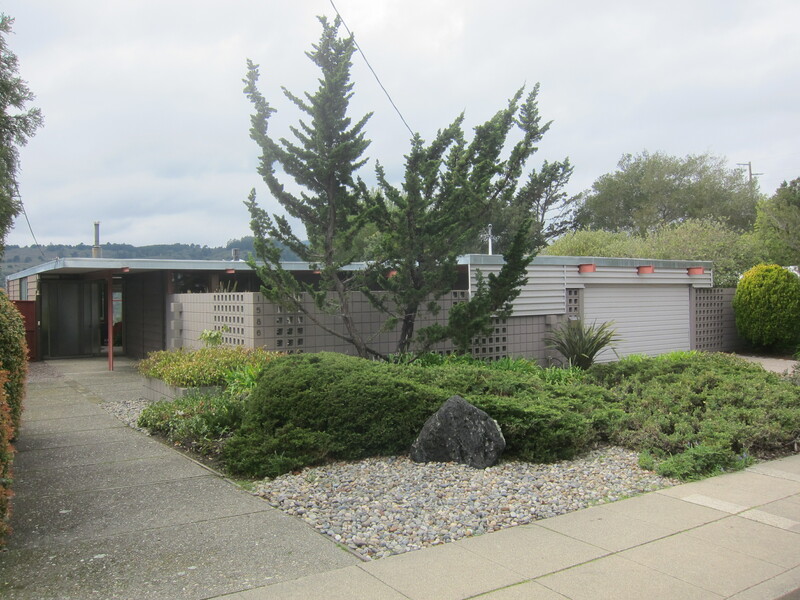 The house was an experiment in all-steel construction methods, and it is the only surviving intact example of Eichler steel homes. 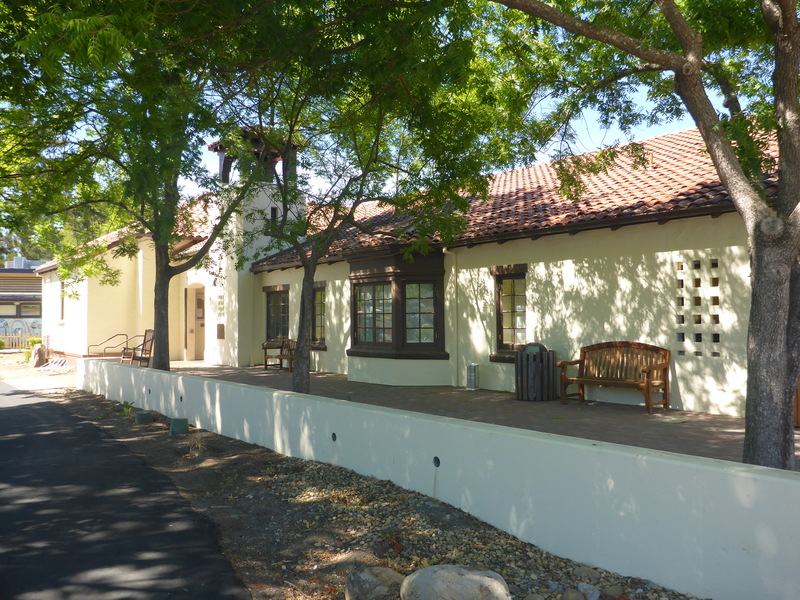 Yountville Grammar School is a Mission/Spanish Colonial Revival style building, constructed circa 1920. Character defining elements include a Mission-style bell tower, a single prominent arched front entry doorway, multi-light wooden casement windows, wooden lintels and lug sills, a red clay tile roof, a hipped, angled bay window, and Spanish Eclectic decorative wooden vents located within the bell tower. 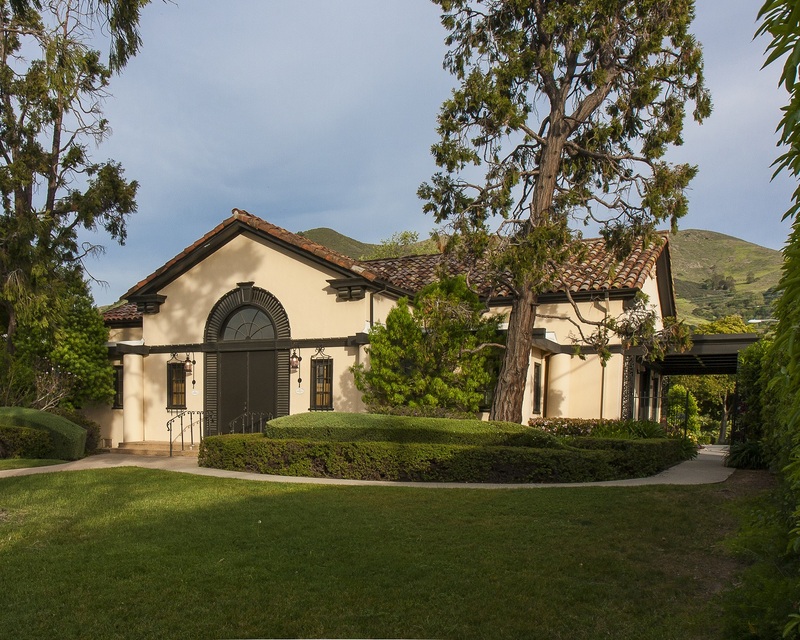 One of only three Mission/Spanish Colonial Revival style buildings remaining in Yountville, in 1977 the school was repurposed as Yountville Town Hall. The following nominations were scheduled for the July 29, 2016 SHRC quarterly meeting at the Woodland Opera House, 340 2nd Street, Woodland, CA 95695. Eighteen properties were nominated to the National Register of Historic Places, including one Multiple Property Document. 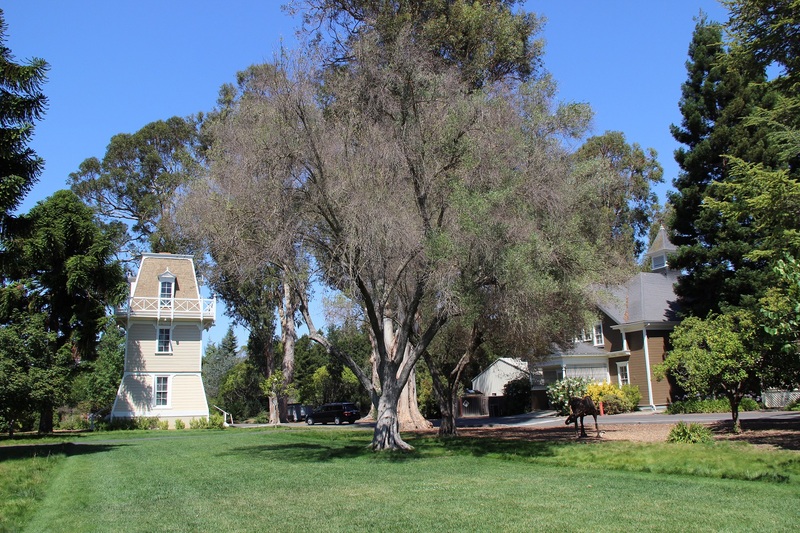 Ten properties were nominated to the National Register of Historic Places and one property was nominated as a California Point of Historical Interest. 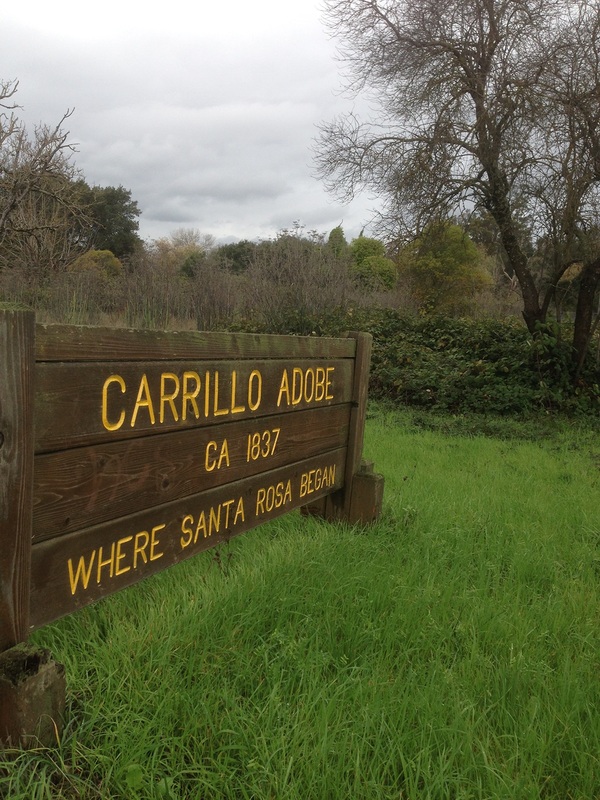 Carrillo Adobe is the physical remains of a Spanish Colonial style L shaped adobe brick building associated with Dona Maria Carrillo, mother-in-law to Mexican General Mariano Vallejo, Commander of the Mexican forces north of the Presidio of San Francisco. Dona Carrillo was one of a small number of single women awarded a land grant. A prehistoric/protohistoric village site is situated within the same boundary and has revealed artifacts that date to historic times suggesting contemporaneous occupation. Covina Bowl was constructed in 1955 with a major addition in 1962. 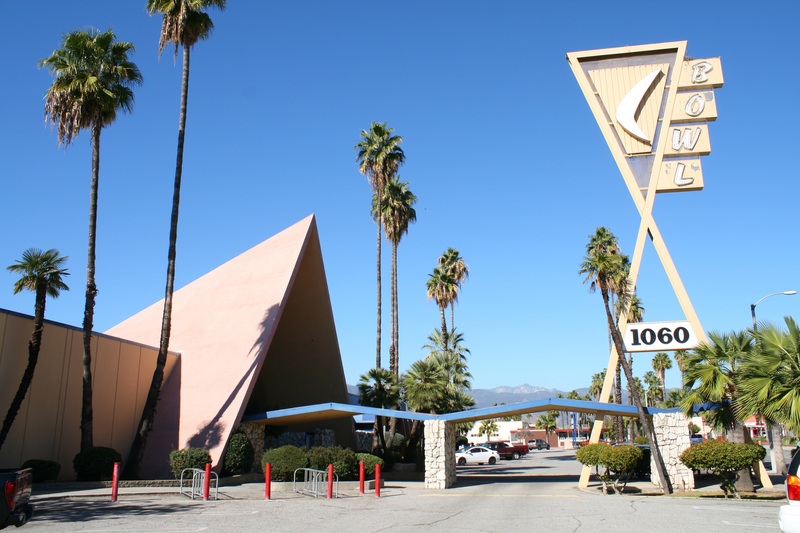 The sprawling Googie style, Egyptian-themed bowling center was the prototype for hundreds of elaborate, multi-use entertainment/bowling centers that followed in the mid-1950s and into the 1960s in Southern California and across the United States. It was designed by the masters of bowling center architecture, Powers, Daly and DeRosa, who designed 72 bowling centers during their career. 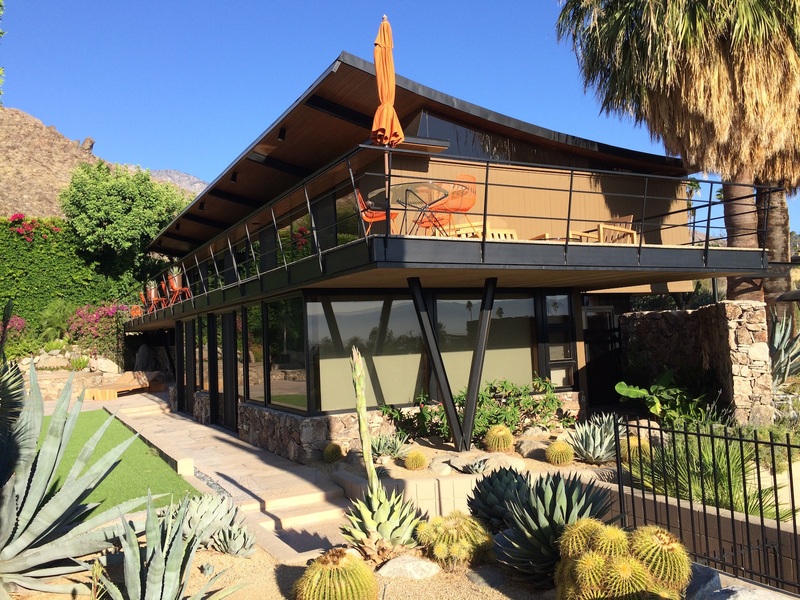 Hamrick House, constructed in 1942, is an excellent example of the Spanish/Mediterranean Revival style within the pre-Modern Movement, and representative of master architects John Porter Clark and Albert Frey’s residential work in Palm Springs during that period. 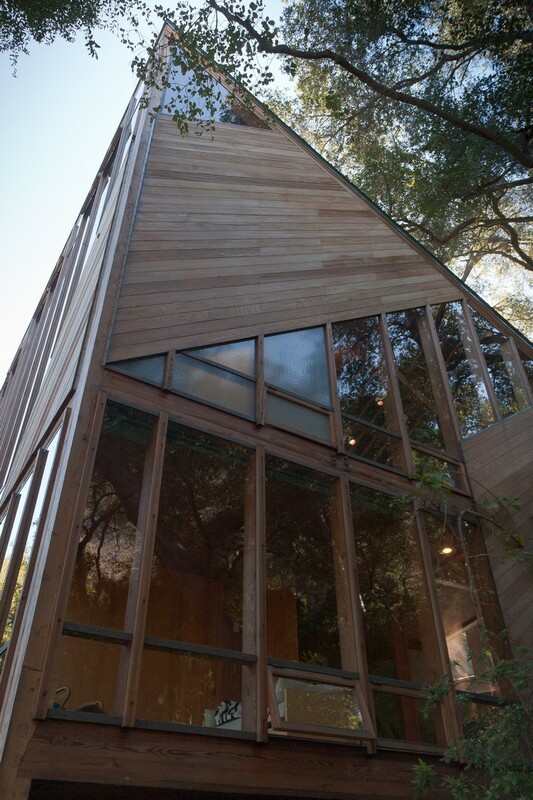 The house exemplifies the rational design approach associated with Clark and Frey’s work. 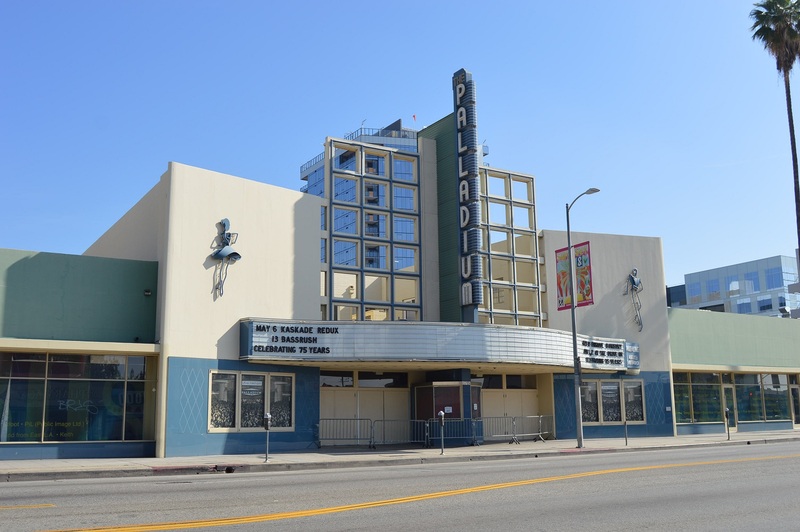 Hollywood Palladium, an excellent example of the Streamline Moderne architectural style, is significant for its association with Hollywood as a center for recreation and entertainment venues, particularly during the heyday of the Big Band era. 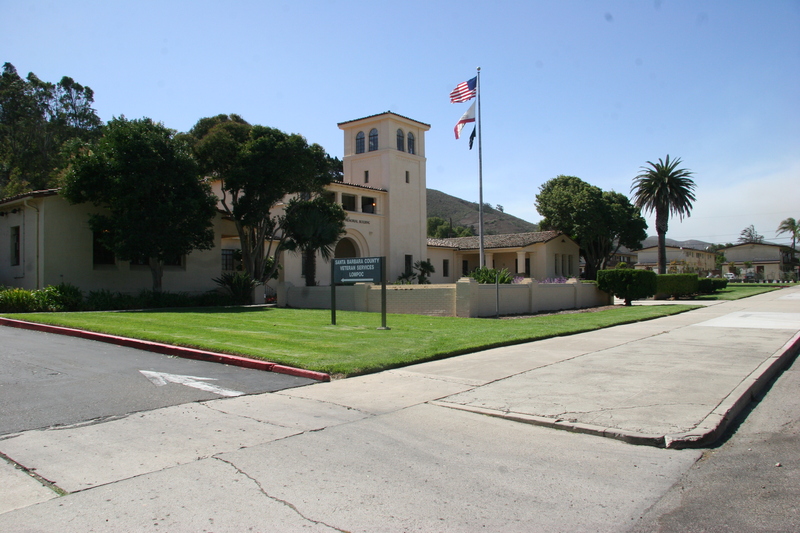 Lompoc Veterans Memorial Building is a Spanish Colonial Revival style veterans' hall built in 1935-1936, constructed to honor and support veterans of World War I and a prominent local example of its architectural style, designed by master architects Winsor Soule and John Frederick Murphy. 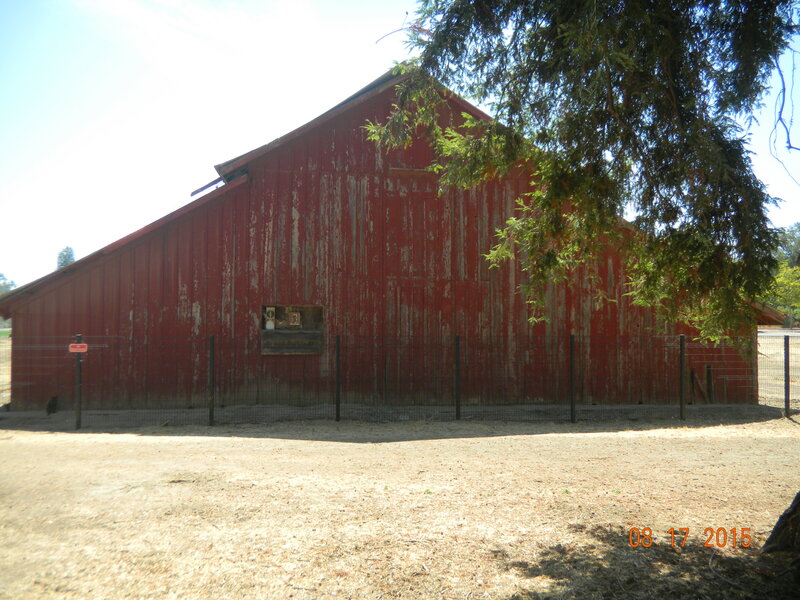 Miller Red Barn is an 1891 Western style barn with monitor roof, located in Gilroy, Santa Clara County. 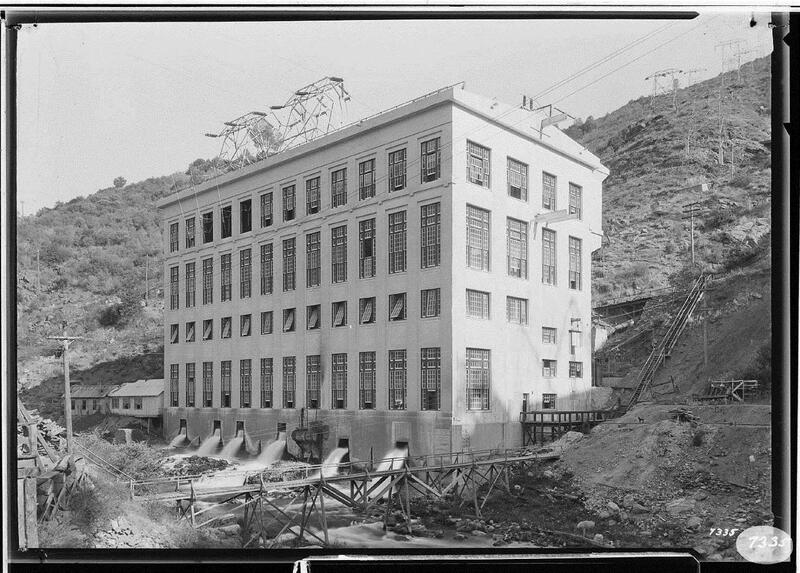 It was constructed for California cattle baron Henry Miller, and later utilized for fruit processing as Miller's new interest in horticulture transitioned his agricultural holdings and Santa Clara County became a major grower of fruit trees, especially prunes and apricots. The barn was later used for grape processing as the area transitioned to viticulture. The barn is now part of a city park, no longer agricultural but still located in a pastoral and rural setting. Mitchell Camera/The Factory, located in West Hollywood, is a 1929 industrial building originally used by the Mitchell Camera Corporation to manufacture movie cameras that revolutionized the film industry. In 1974, the property opened as Studio One, a nightclub that became a cornerstone of southern California's LGBTQ community. This nightclub marked the transition from gay bars and clubs that were secretive and hidden, to avoid prosecution, to clubs that were public and popular. The Factory and other nightclubs based in this building attracted Hollywood celebrities and became a focal point for the growing LGBT community of West Hollywood. Sears Roebuck & Co Amendment updates the existing National Register listed property, located in Los Angeles, to include the Mail Order Building as a contribution portion of this property. Added in two phases in 1959 and 1964, these additions increased the amount of office and warehouse space necessary to process and store merchandise during a period of commercial abundance, and amends the historic context to end in 1966 when the western headquarters of Sears relocated to Alhambra, California. 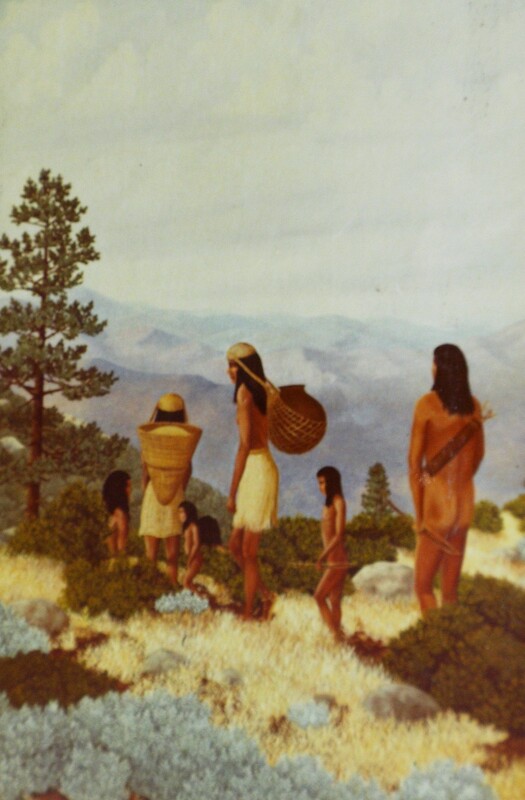 Upper Klamath River Stateline Archaeological District includes three pre-contact archaeological sites along the Upper Klamath River in the Cascade Mountains. The district represents the last four thousand years of aboriginal village occupation and associated activities on the benches and terraces of a major river, and has the potential to contribute to understanding of the pre-contact and proto-historic past of this portion of far western North America. 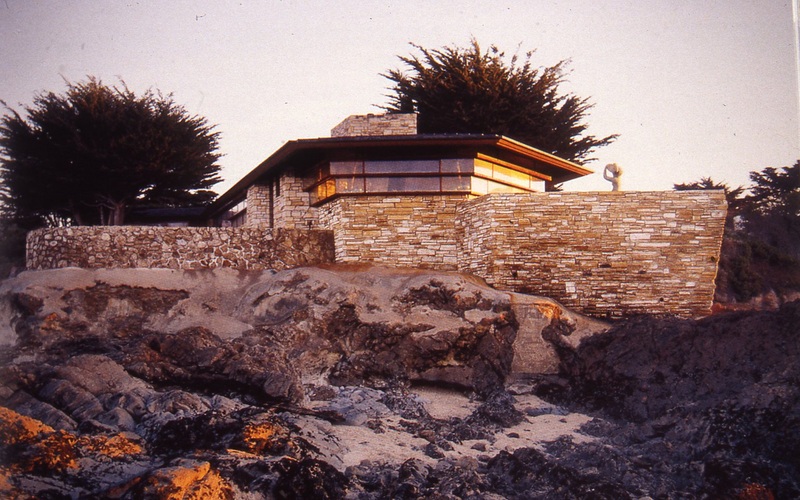 Walker House, on a rocky promontory overlooking Carmel Bay, is the only Usonian design completed by Frank Lloyd Wright in a coastal environment. Usonian design elements include the use of natural and local materials, the construction of the building based on a modular unit, and the prioritization of nature by the integration of interior and exterior spaces opening out to views of the surrounding landscape. 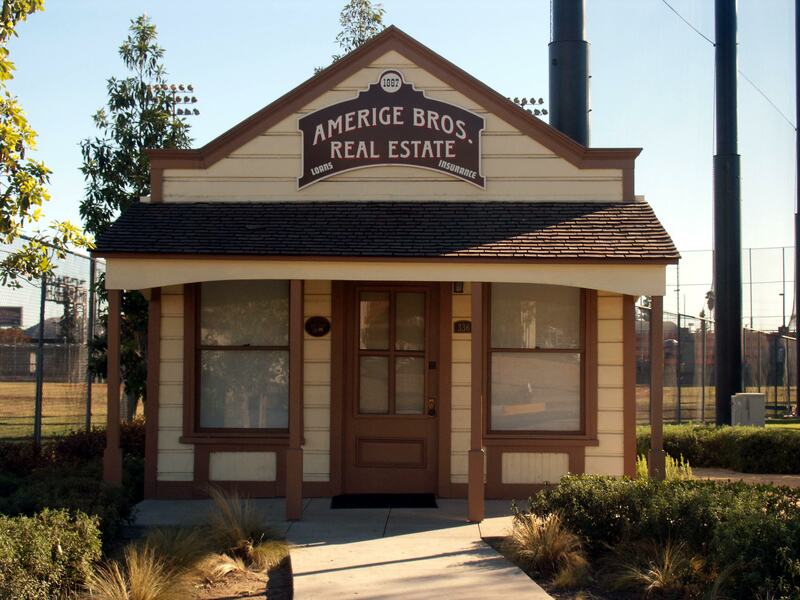 The Amerige Bros. Real Estate Office was constructed as a temporary land office to sell lots in in what is now central Fullerton during the Southern California land boom of 1886-1888. The following nominations were scheduled for the October 28, 2016 SHRC quarterly meeting at the City of Redlands Civic Center, 35 Cajon Street, Suite 2, Redlands, CA 92373. Twenty-three properties were nominated to the National Register of Historic Places, including one Multiple Property Document. 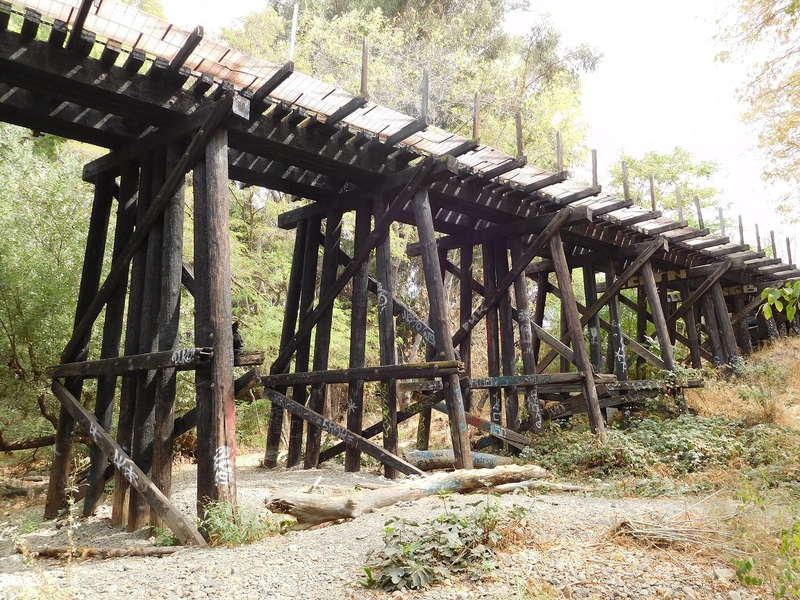 One property was nominated for listing on the California Register of Historical Resources. The Architecture of E. Stewart Williams Multiple Property Submission (MPS) documents Williams’ design philosophy and contribution to desert modernism in the Coachella Valley. Williams successfully united the warmth of natural materials with the precision of International Style Modernism in designing buildings devoted to client needs while tailored to the local setting. At this time, twelve buildings are nominated in association with the MPS under the context “Architecture as environmental expression in the greater Coachella Valley, 1946-1976.” Property types include single family residence, commercial building, cultural institution, and educational institution in the greater Coachella Valley of Imperial, Riverside, and San Bernardino Counties. 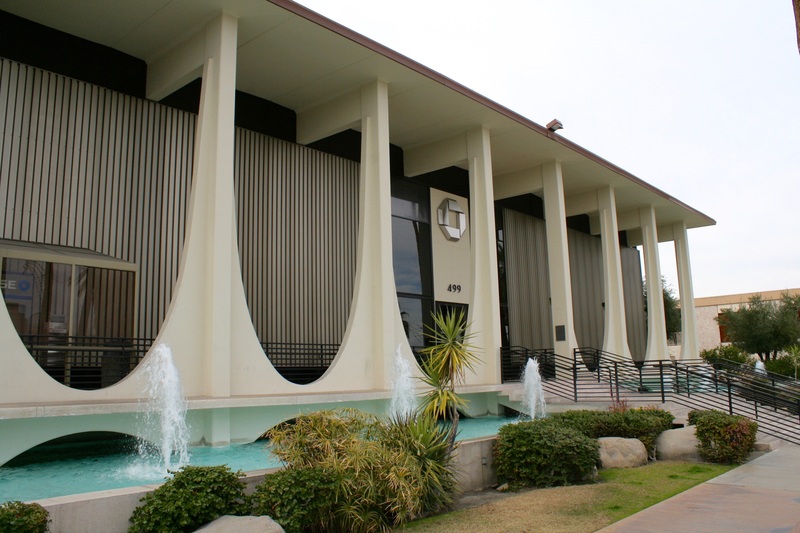 Beckman Instruments Building, located in Fullerton, Orange County, is a Mid-century Modern administrative office building built in 1954. 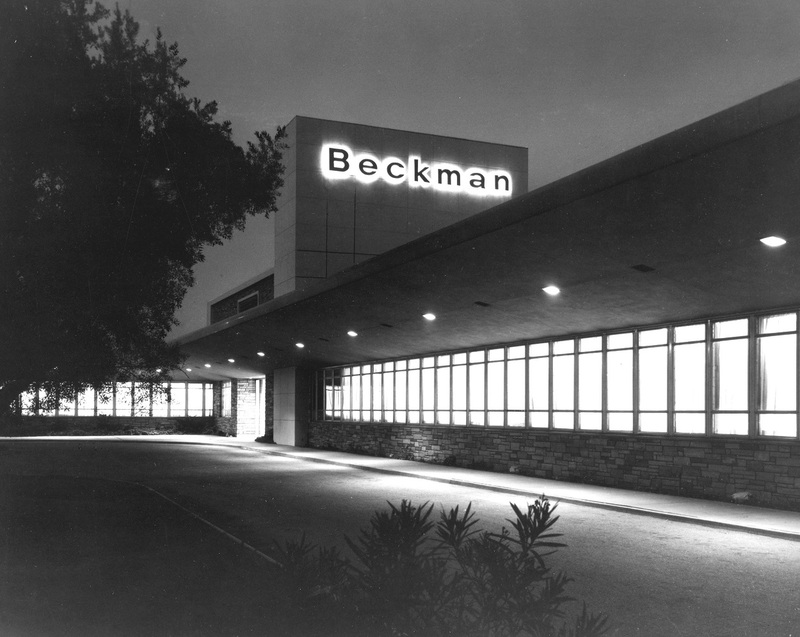 It is significant for Beckman Instruments' role as the first high-tech industry in Fullerton, association with inventor and industrialist Arnold O. Beckman, and for its design by master architect Lawrence Whitney Davidson. 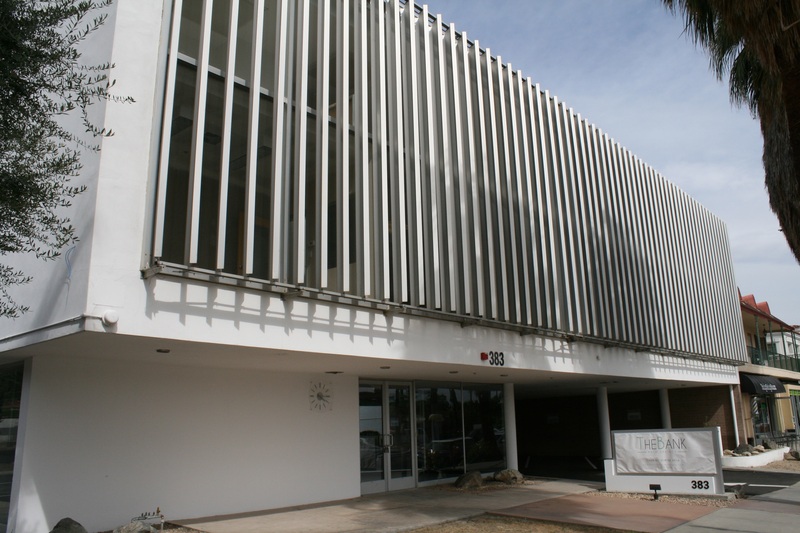 Coachella Valley Savings 1 is a two-story with mezzanine International Style steel-framed, reinforced concrete building that was clearly influenced by Le Corbusier’s Villa Savoye in France. The building appears as a rectangular box of painted white stucco floating above a wide driveway and a small lobby. Coachella Valley Savings 2 is a blend of International Style modernism, Classical symmetry, and sculptural monumentality. It is of steel and concrete construction engineered for both seismic safety and to provide a single enormous banking space without interior columns. 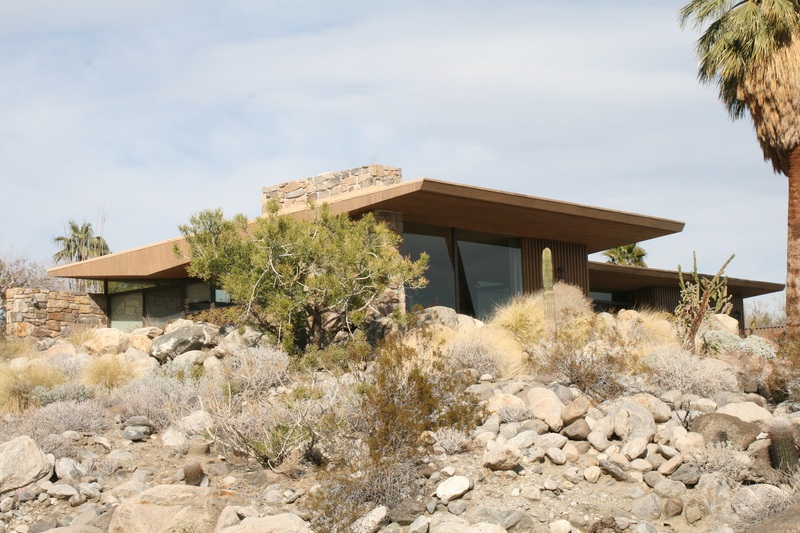 Edris Residence was set amidst a boulder-strewn alluvial fan of Mt. San Jacinto in Palm Springs. The goal was to integrate as much of the natural environment into the modern design as possible. Williams employed a triangular steel truss so that the living room roof would slope upward to celebrate the magnificent view. 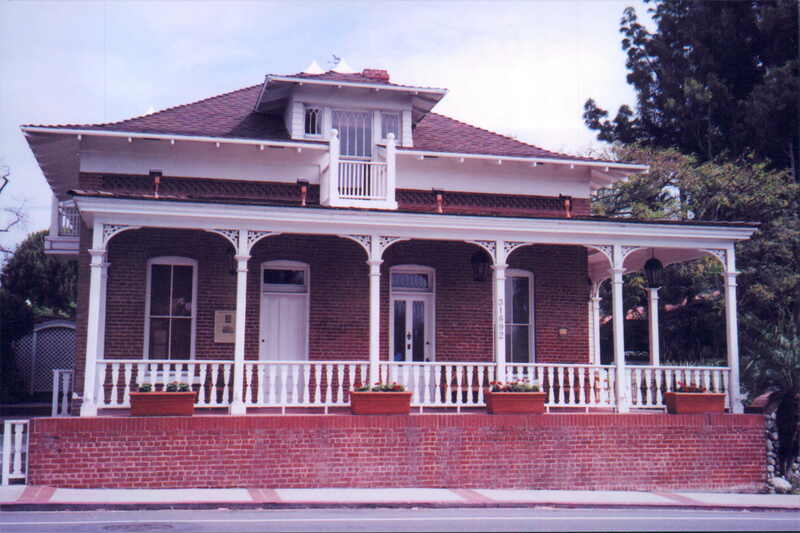 Egan House, located in San Juan Capistrano, Orange County, is an 1883 Renaissance Revival building constructed by William English for judge, county supervisor and philanthropist Richard Egan. Known as "Harmony Hall," this building was Egan's primary residence and principal office until his death in 1923. As a Justice of the Peace, "Judge Egan" donated fees paid for his judicial services to the poor, and spearheaded the restoration of Mission San Juan Capistrano. Kenaston Residence is U-shaped in plan, with a swimming pool within the “U” where a natural rock wall continues below the pool surface to several feet beneath the water level. This same natural rock, which clads a portion of the exterior north elevation, softens the strict rectilinear geometry of the flat-roofed house. Koerner Residence was placed on a flat parcel with a panoramic view of Mt. San Jacinto to the west, sharing the upswept roof of Williams’ earlier Edris Residence. Floor to ceiling windows bring abundant light into the wood post-and-beam dwelling. 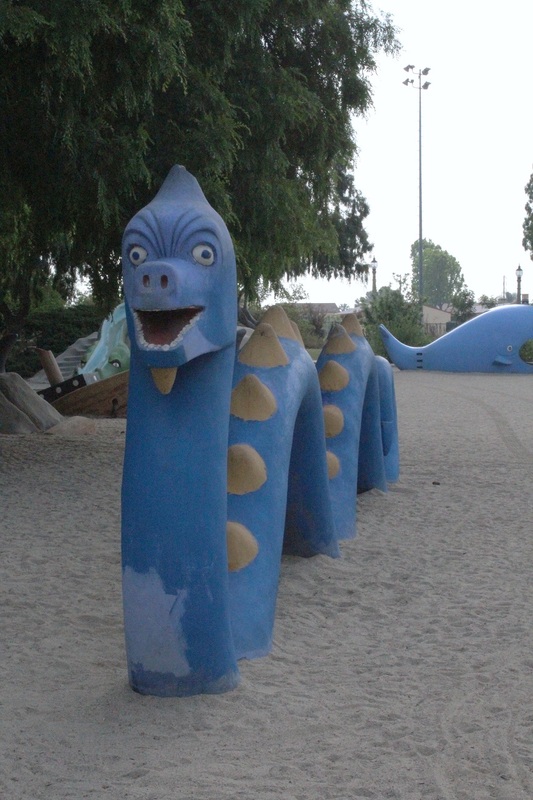 La Laguna de San Gabriel is a park located in San Gabriel, Los Angeles County, consisting of 14 concrete play sculptures created by master architect Benjamin Dominguez. 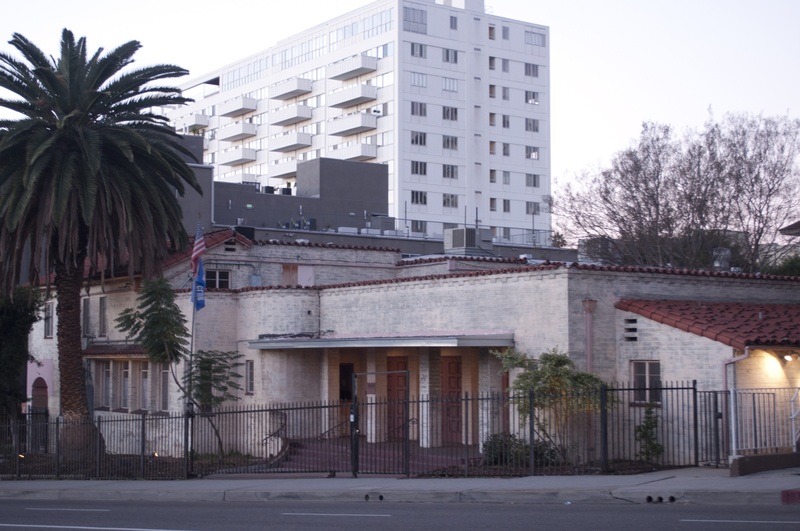 The property is nominated under cover of the Latinos in 20th Century California MPD, as an example of the Murals and Artwork property type. Latinos in Twentieth Century California MPD Amendment amends the existing MPD by changing the Murals property type to "Murals and Artwork," allowing nomination of artwork including statues, structures and other forms of artwork in addition to murals, under the cover of the existing document. Mitchell Camera Corporation Factory, also known as The Factory and Studio One, located in West Hollywood, is a 1929 industrial building originally used by the Mitchell Camera Corporation to manufacture movie cameras that revolutionized the film industry. In 1974, the property opened as Studio One, a nightclub that became a cornerstone of southern California's LGBTQ community. This nightclub marked the transition from gay bars and clubs that were secretive and hidden, to avoid prosecution, to clubs that were public and popular. 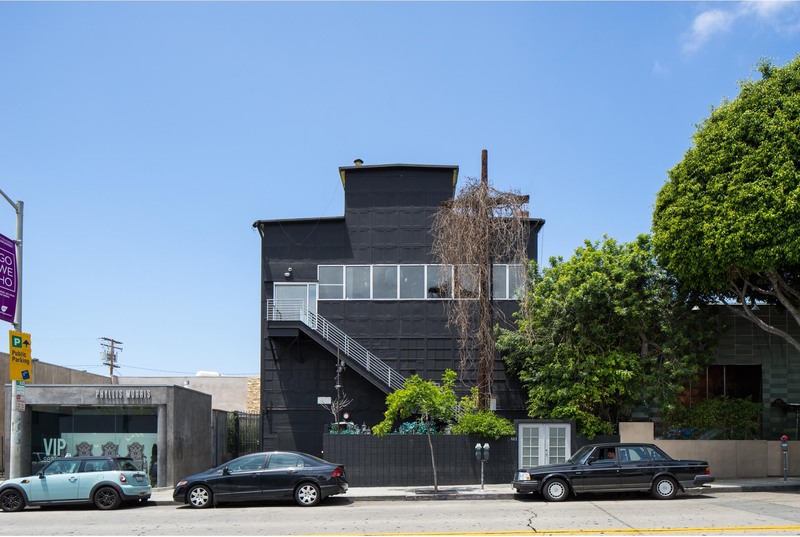 The Factory and other nightclubs based in this building attracted Hollywood celebrities and became a focal point for the growing LGBT community of West Hollywood. Oasis Commercial Building is an International Style two-story, steel-framed reinforced concrete building that was clearly influenced by Le Corbusier’s Villa Savoye in France. Ground floor shops are deeply recessed beneath the projecting second story, which is supported by piloti. The upper floor contains offices and a full-width loggia facing the busy street. Palm Springs Aerial Tramway Mountain Station is located at an elevation of 8,516 feet within the boundaries of Mt. San Jacinto State Park. It is the upper portion of a tram system inaugurated in 1963. The mountain station is based on a Swiss chalet, with angled wings with sloping roofs and large windows to take in views. 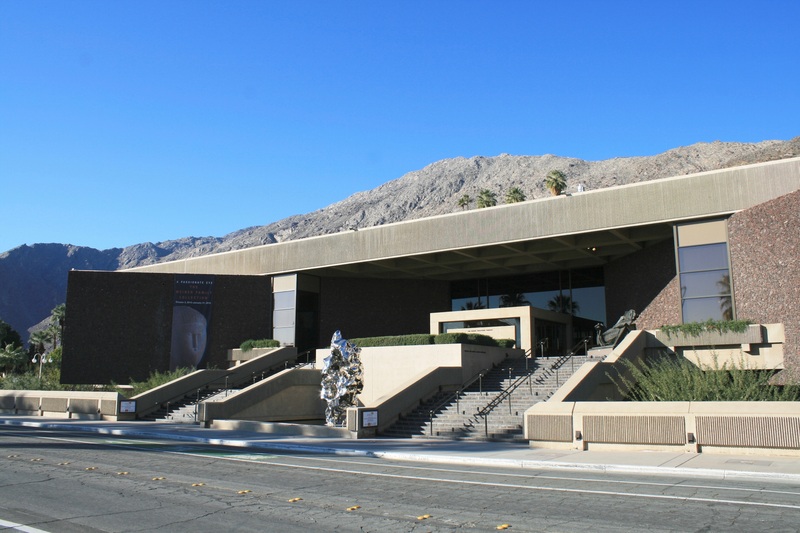 Palm Springs Desert Museum houses art galleries, natural history exhibits, and a performing arts center. A tranquil sunken garden imparts a sense of visual lightness to the overall composition. The building’s design embraces the New Brutalism in its massive scale and reinforced concrete construction. 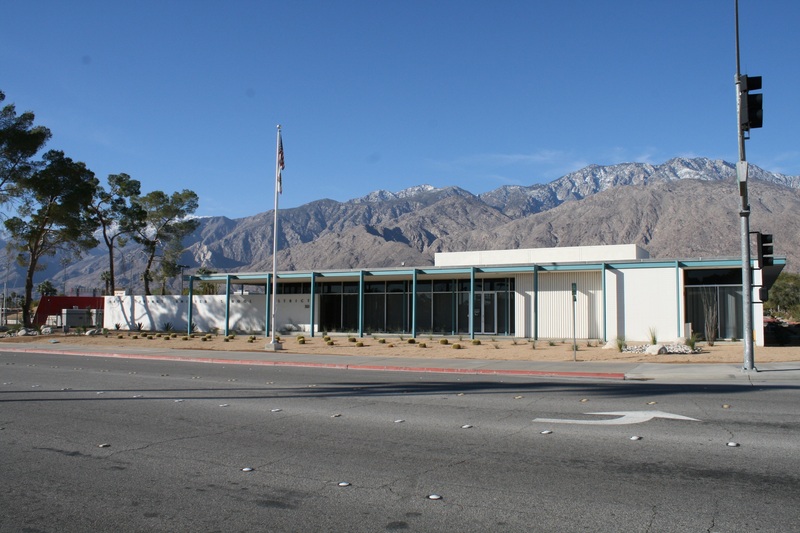 Palm Springs Unified School District Educational Administrative Center was strongly influenced by the International Style. Prominent steel dogleg I-beams on the primary (east) elevation and exterior steel posts on the other elevations frame the building and support the flat roof. Aluminum-framed windows and enamel spandrels are recessed beneath the roof’s deep overhangs. Rattlesnake Canyon Bridge is a closed spandrel arch bridge located in Santa Barbara, Santa Barbara County. 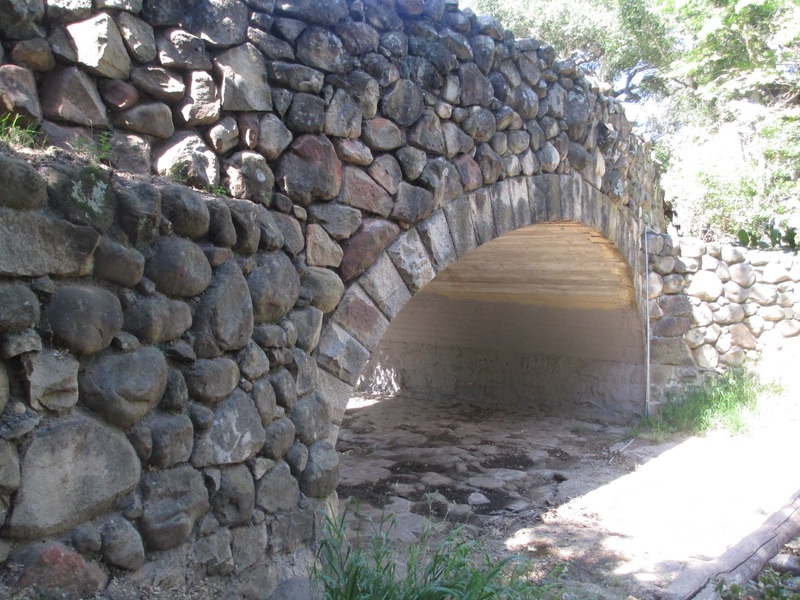 The bridge is a significant example of masonry bridge engineering, constructed in 1919 and designed by master engineer Owen Hugh O'Neill Jr., who designed the majority of the masonry arch bridges built in Santa Barbara County. 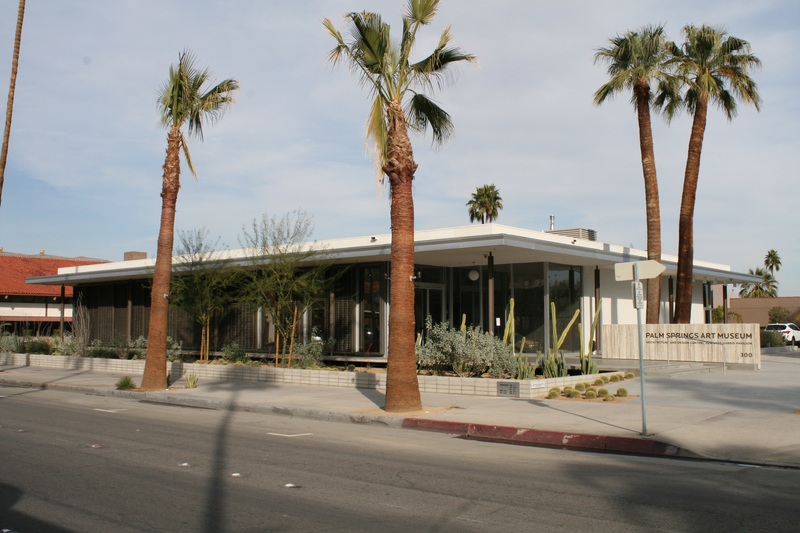 Santa Fe Federal Savings , now the Palm Springs Art Museum Architecture & Design Center, is a Miesian pavilion of steel frame construction on a raised concrete pad. Full height glazing on three sides creates a delicate “jewel box” effect, especially when illuminated at night. 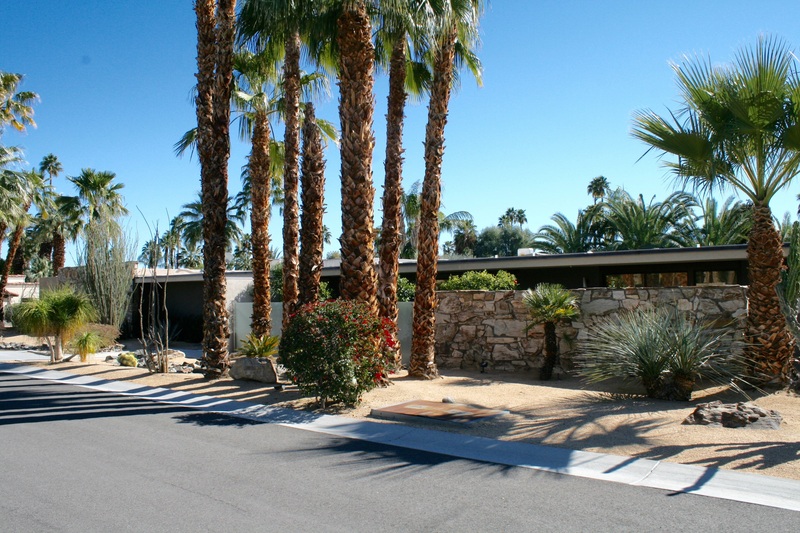 Sinatra, Frank, House was E. Stewart Williams’ first residential commission in Palm Springs. 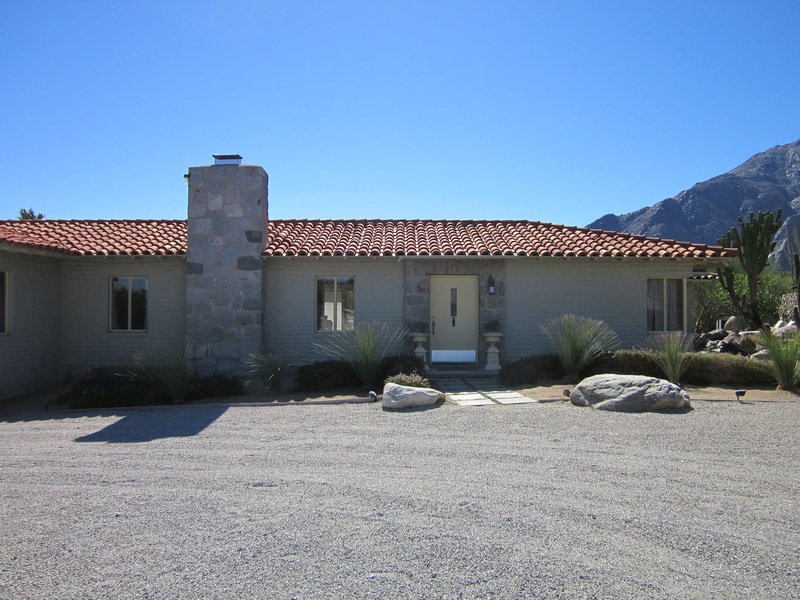 The single-family desert vacation house was commissioned by Sinatra in the summer of 1946. 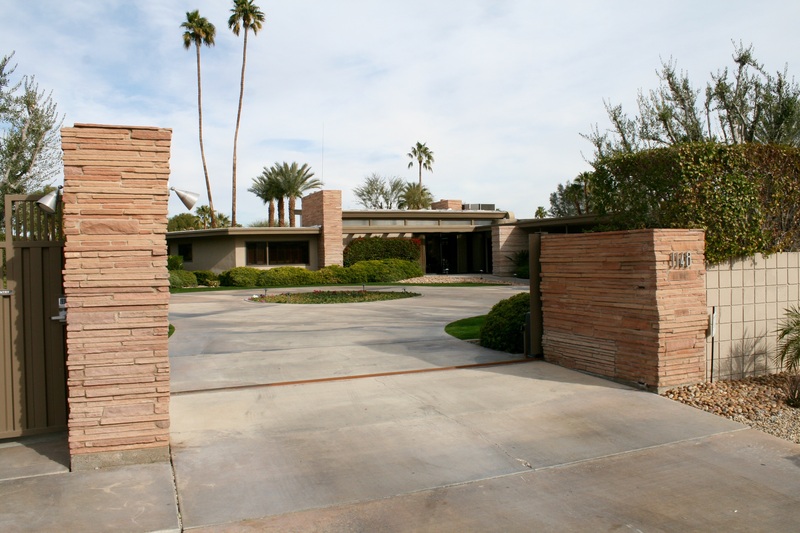 Williams’ design for a modern ranch style house won out over the Georgian Revival mansion that Sinatra had initially requested. St. Joseph's Home for the Aged is a group of Georgian Revival style buildings constructed between 1912 and 1948, located in Oakland, Alameda County. The Little Sisters of the Poor operated this property as a social services facility and home for male senior citizens of limited means. It is one of the best examples of Georgian Revival style architecture in the East Bay region, designed by architects Leo Devlin and John Donovan. Wiipuk Uun'Yaw Trail (location restricted) is a cultural landscape associated with the Kwaaymii people, adjacent to the existing Kwaaymii Homeland historic district. Williams, E. Stewart and Mari, Residence allowed the architect to fully realize his design philosophy of bringing the natural environment into the living space. A butterfly roof cantilevered out over three rows of side beams eliminated walls so that the landscape could flow through floor-to-ceiling glazing in each room. 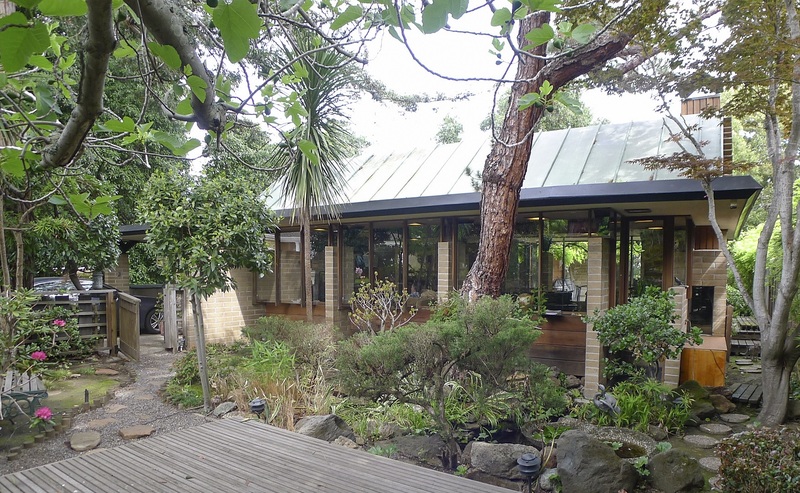 The house is essentially a roof over a garden, a shelter for a very hard climate. Woman’s Club of Hollywood is one of Hollywood’s oldest civic organizations, founded in 1905 by a small group of women, many of whom were the wives, daughters, and sisters of Hollywood pioneers. The 1946 clubhouse was constructed on the grounds of the former Hollywood School for Girls. The private college preparatory school was a significant educational institution for the children of Hollywood’s famous families. Zumbrota is a shallow range, twin-screw fantail yacht approximately 95 feet long, constructed for Charles Ringling in 1918. 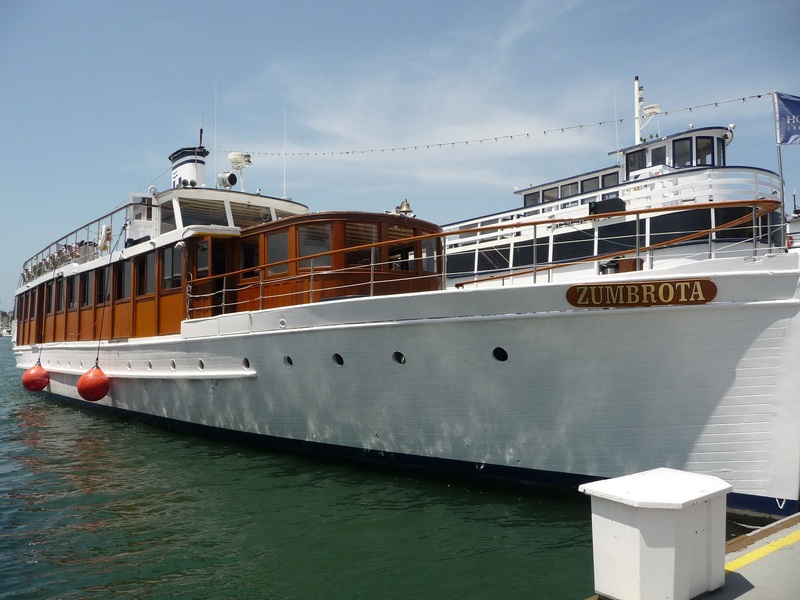 With her narrow bean, plumb bow, and luxurious joinery, Zumbrota embodies the distinct characteristics of Classic motor yachts of the early Twentieth Century. Rancho Minerva is associated with the Greek American experience and agricultural development history in Vista, San Diego County. The Spanish Colonial Revival style house also embodies the distinctive characteristics of a type and method of adobe construction.